It’s just over a week until I take my Daughter to the City Hospital, where she will see a specialist Doctor. We will finally get to the bottom of her recently diagnosed Coeliac Disease. I am counting down the days as I have so many questions to ask them. Hopefully, we will get some good advice on her new Gluten free diet. It has been over a month now since we found out My Daughter Has Coeliac Disease. Time sometimes flies even when not having fun. We have spent hours learning about her new Gluten-Free lifestyle and searching the shops for Gluten-free products. You can’t just nip to the local shop for food when you run out now. They do not sell anything gluten-free. Also going out for a breakfast is a definite no-no. We have to eat before we go out. Making sure to take something gluten free in case we get delayed. My Daughter still has a big appetite!! Read on to find out about a new gluten-free lunchbox snack. 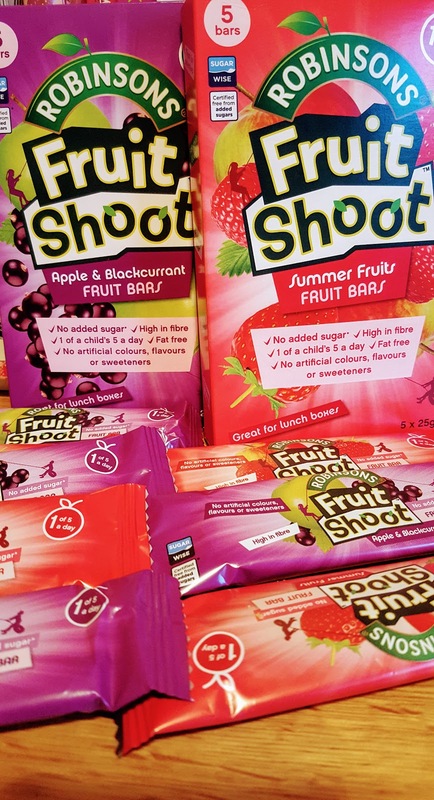 Last week we were introduced to the new Fruit Shoot Fruit Bar that has just hit the shops. Finally, we have found a lunch box treat that is gluten-free. They fit nicely into her school bag for lunch, whilst also fitting nicely into her handbag at the weekend. “Double bonus,” my Daughter says! One thing we had been struggling with is school lunch boxes. My Daughter has only just found a gluten-free bread she enjoys. She does like a little treat too, I have tried homemade gluten-free buns. The trouble is they do tend to crumble in her bag. Something pre-packed which stays firm is spot on. 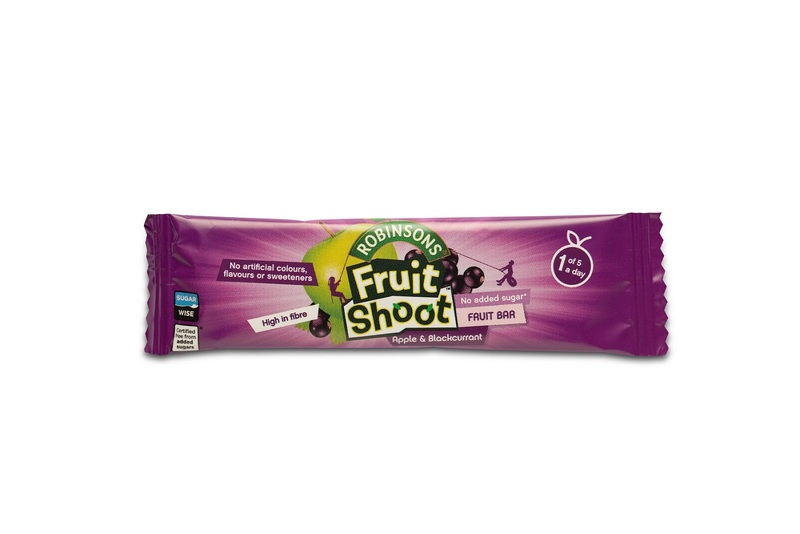 The Fruit Shoot bars are primarily made from Dates with some extra natural goodness. The sugar content essentially comes from the fruit. This is obviously a natural source of sugar and is part of your 5 a day. Overall then we give these bars a thumbs up. The Hubby who loves a chocolate bar in his work lunchbox enjoyed them too. If he gets in the London Marathon cutting out the chocolate will be a good thing I think! 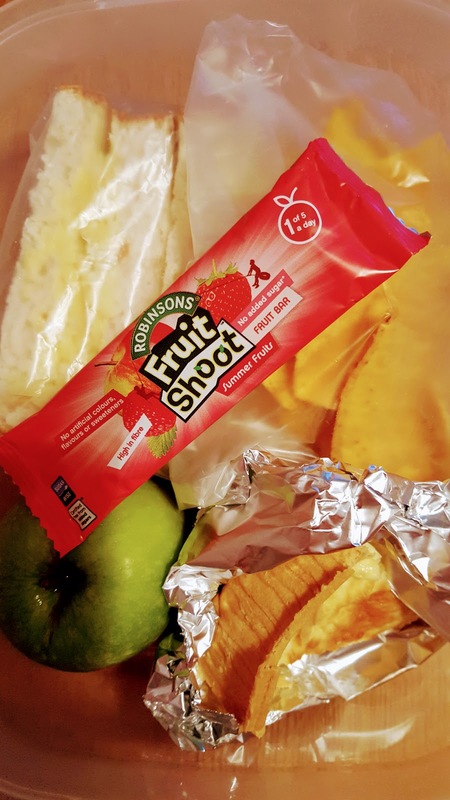 New Fruit Shoot Fruit Bars offer a deliciously fruity, no mess snack option, that school-aged kid can enjoy on the go, or as a perfect addition to lunchboxes. Packed with over 99% fruit, the bars are high in fibre, free from added sugar, artificial flavours, colours or sweeteners and they also count as one of your ‘five a day’. The bars are available in a rainbow of five fruity flavours; Apple, Apple & Blackcurrant, Summer Fruits, Peach & Mango and Tropical Fruit. 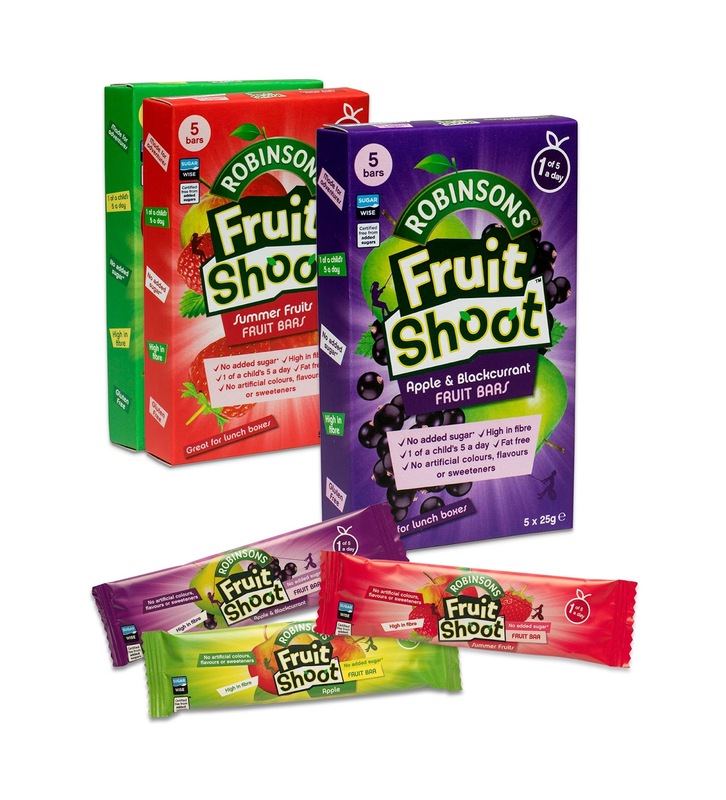 Each flavour comes in a pack of five and the good news for parents is that Fruit Shoot Fruit bars have all been certified by Sugar Wise and every bar counts as a serving of fruit. 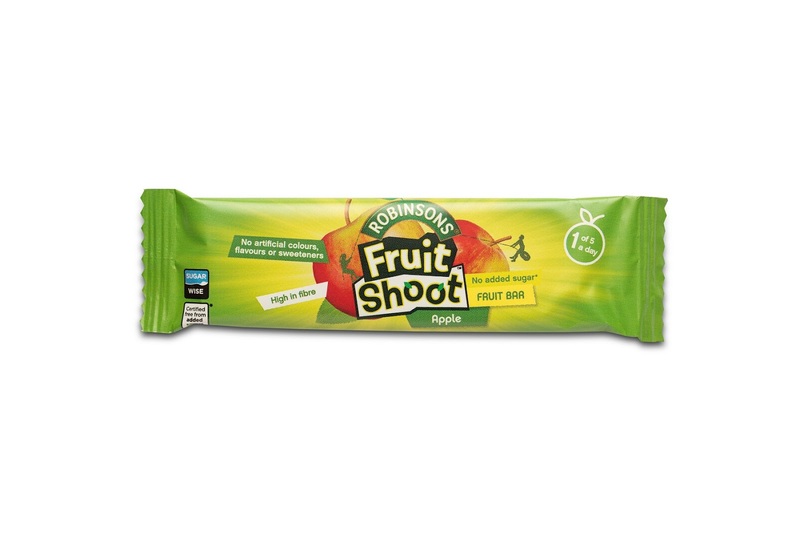 The Fruit Shoot Fruit bars are suitable for vegetarians, vegans and those on a gluten-free diet. Available in Tesco stores and online from Amazon from 18th September (RRP: 5 x 25g for £2.29). I am also impressed with Tesco’s Gluten-Free range. Every week we have been in they keep adding more and more gluten-free foods to their range. The first week we went in they had a row with a few shelves full. Now they have a whole section and a Gluten free range in the freezers too. This past month their range has improved drastically. Imagine how many different foods they will have in by Christmas.!! About this post: This is a commission post with Fruit Shoot. All thoughts are my own. "Roasted Cauliflower Brain With Green Slime Hummus And Dead Man’s Finger Sandwiches"
"It Wasn’t Me!? : The Wednesday Blog Hop"
We LOVE Fruit Shoots in our house. They are absolutely ideal for lunchboxes!!! Glad she is adjusting! I think you'll be surprised how much is naturally GF! These sound tasty. Your daughter has a great attitude. I know it's a big adjustment. My kids aren't big sandwich eaters so I always made them salads or something hot in a thermos for their school lunches. Thanks Heather 🙂 My Daughter likes to rush around eating something quickly. Such a good idea. One of my best friend's boy is gluten free, I'll pass on this for her, she'll be pleased to see someone is catering for him at last! Thanks for the comment. I am pleased to see more and more things coming out gluten free. I can't imagain how hard it was a few years ago. It must be so tough adapting to being gluten-free, your daughter is a trooper, I can't even imagine 🙁 Still, I had no idea Fruit Shoots were branching out into bars – how exciting!! That's great to hear! You guys must be having a hard time. Nice that USA has a variety of options. I stay in India and my friend has major issues in finding gluten free products. Ooooh this look fab I'm always on the look out for gluten free snacking options for the fam so will definitely be picking some of these up in the next shop! I hadn't realized they have decided to branch out into snacks! Your daughter is very brave and it's good to know there are options available food-wise to adapt! OH wow I haven't heard of these, and would have never realised they were introducing snacks as well as drinks! Ah Fruit Shoot Bars. My kids would love these am sure. They look yummy. I will have to look out for my granddaughter. Thanks.